Habla Ya Spanish Schools' mission is to offer the most amazing Spanish learning experience, and all of the staff is commited to exceed your expectations and make that happen. Habla Ya Spanish School commits itself to provide Spanish lessons with a qualified teacher in the one to one private option, in our mini group option, in a group of no more than six students or through online Spanish lessons according to the course that has been negotiated for the student in the moment of inscription. We offer different Spanish courses to suit student's different needs. These general conditions apply as long as no other special program is arranged for the student or group of students. Proper accommodation (home stays, budget hostels, mid-range hotels or bed & breakfasts, luxury country inns or top end resorts, cabins or apartment rentals) at an extra charge will be offered and can be arranged if students wish so. Habla Ya Spanish School will always try, within sensible limits, to meet student's needs concerning accommodation and we strive to provide comfortable accommodation so that students can feel cozy, secure, but we are not a real estate agent and cannot respond for the actions (or lack of those) of other businesses. Each host family, hostel, hotel, bed & breakfast and apartment is approved and overseen by us, but not owned by us, so we cannot completely control them and we will always do everything that we can so that you receive the level of service that you deserve. The quality is monitored by regular visits, phone calls and student feedback. We will make sure that the refund policy that each lodging option has commited to is followed. Certain free extra activities (weekly salsa lessons, movie nights and conversational sessions) are also included with the course payment which have to be scheduled and are subject to change. Other extra activities are offered at an extra cost. Eco-adventure tours can be cancelled up to one week in advance without incurring in any penalty. If they are cancelled within a week, a 50% penalty will be charged. If cancelled within 24 hours, a 100% penalty will be applied. Habla Ya Panama Spanish School is only obliged to give classes during the negotiated time and the classes paid in advance by the student at the beginning of the course. However, if the student wishes to extend his/her courses, he/she has to communicate his/her decision to the School Director, who will inform of course options available and finally has to pay for the additional time in advance. Habla Ya Spanish School commits itself to hand over a certificate of approval, only for those students that contract and pay for a course with a minimum of 60 hours and successfully course those 60 hours improving their language skills in the degree they are marked by our level system. The Spanish School will not give certificates to any students that sign up and pay weekly. However, the Language School will hand over a private certificate in which it states the number of received hours in Spanish and the level of proficiency reached. In th past, many students have used this certificate to gain college credit but the course is generally approved by their college before arrival. The timetable of the studies will be an arrangement of the existing shares and our teachers commit to the agreed schedule. However, this could change in mutual agreement, if the conditions for this exist and whenever the normal development of the Spanish school is not prejudiced. Habla Ya Spanish School accepts no responsibility whatsoever for students' actions. The Spanish School is not responsible for any personal items left in the school building, accommodation, volunteering partners, transportation and/or third party companies. On formalizing enrollment into a Spanish course (and accommodation) students accept the General and Payment Conditions and Payment Method, as well as the norms, rules and guarantees of Habla Ya Spanish School. 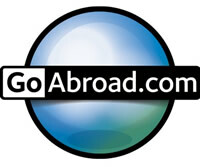 We strongly recommend that all students take out a travel or medical insurance policy in their home countries. Habla Ya Spanish School will not be held liable and is not responsible for any accident or injury held within our outside our facilities during your Spanish Program. If students are participating in any tour or excursion they have responsibility to ensure that their travel or medical insurance policy covers the activity or sport in which they are participating. In the case of a serious disciplinary offence, repeated bad behavior or infringement of the laws of Panama, the student will be expelled from the school and accommodation contracted with Habla Ya Spanish School without the right to any refund. In the case were damages are caused to third parties, all the expenses claimed from Habla Ya Spanish School that originate from the above-mentioned incident will be charged to the student, who will have no right to later claims. Habla Ya Spanish School reserves the right to use all photos and video footage taken during the student's stay unless the student refuses permission in writing. A $99 deposit is required for Spanish lessons (which goes toward your tuition - unless you cancel within a week in which case it's considered a no show cancellation penalty), with the exception of school groups that are required to pay a 50% deposit (which is non refundable if individual students cancel within one month period prior to the start date). School groups are also required a 50% deposit for accommodation and same policy applies unless specified otherwise. Complete payment of Spanish lessons and accommodation is to be made before starting the course/program and can be made upon arrival to the School. When students arrive on the day that their course starts and they are going to withdraw cash from an ATM they can pay in several payments during their first consecutive days. Payments can be made either in cash, with a credit card, bank transfers or checks from local banks. For complete info about payment options please click here. Eco-adventure tours are only considered reserved when paid in full or when credit card details have been given. The students who stay with local families have to pay the whole amount for the home stay in advance of the first day of home stay until the last one his/her luggage remains at the family. Students with other accommodation options will be instructed on how their payment is expected. All requests for refunds must be submitted in writing to the school. Habla Ya Spanish School will refund money to the students if, due to the fault of the institution the student cannot take classes and as long as students prefer to not reschedule. No refunds are available for classes lost due to local holidays but students are encouraged to reschedule those lessons without any further charge. When Habla Ya Spanish School organizes an excursion at a time and date when students have lessons, and they would like to attend, the School Director will inform if rescheduling of lessons is possible without further cost or if lesson will be lost if students decide to assist. No refund is available for those students who live in Panama and for any reason cannot finish their course. A full credit representing classes not taken will be given and can be used when a course for them can once again be arranged. There will be no partial refunds for days of class, home stay or other type of accommodation or excursions missed by personal reasons, nor will the student be able to make them up at a later date. Refunds will be given at Habla Ya Spanish School only to those students who have enrolled directly and made their payments to Habla Ya Spanish School. Students who have signed up through another organization (such as an agency) must request refunds directly from them. Credits will expire in one year time. If the student wishes to transfer the credit to a friend, workmate or parent, he or she should write us a letter letting us know the specific person to whom grant the credit. Cancellations before start date of courses/programs. If the course has not begun, students are entitled to a 100% refund. As you can pay upon arrival, this really isn't an issue, unless you have sent a deposit, in which case we will send you a complete refund minus expenses to send the money back. The same applies for the 3% processing fee with credit cards. A 100% credit can also be applied, valid for 1 year. If for any reason, during the first week of Online Spanish Lessons, you're not satisfied, we will refund the remaining amount of your program (minus $100 which is the cost of the AVE platform which you can continue to use), no questions asked. After that no refunds are given but credits can be saved for up to a year to use later on (but cannot be transferred). The fees paid for the first 4 weeks of any course/program is non-refundable. If any student wishes to withdraw from a course/program or any portion of it within the first 4 weeks, can do so at their own expense. Credits can be given in certain circumstances. All refunds for private lessons after the first 4 weeks will incur in a 15% cancellation fee, and will be made only if the student notifies Habla Ya Spanish School, in writing, with at least 1 week in advance of the cancellation. For group lessons after the first 4 weeks, if you attend classes for fewer weeks than you paid for, your tuition for wholly unused weeks will be fully refunded in 50%, if you notify us no later than Friday for classes starting the following Monday. Eco-adventure tours cancelled with 1 week or more of anticipation will not incur in any penalty. Eco-adventure tours cancelled within 1 week will incur in a 50% penalty. Eco-adventure tours cancelled within 24 hours of the starting time of a tour will incur in a 100% penalty. Refund for home stays will only be given if notice is received within 2 weeks of anticipation and if the absence surpasses 1 week of consecutive days. In this case the student has to pack his/her luggage and take it with him/her while they are absent. No refund for home stay will be given if student is found drunk at his host family's house, has been using illicit drugs and arrives or fails to arrive to his house because of being under the influence of illicit drugs or displays inappropriate sexual behavior towards any member of the family or the community causing a scandal that affects the school and the host family. If you're staying with a local host family during your Spanish Program, and would like to switch to our other campus for Spanish lessons with a home stay, your change of plans needs to be communicated to the school with a minimum of 14 days anticipation in order to re-arrange your schedule and your lodging. Please be aware that our host families plan in advance for your visit, organize their personal time around you and buy food for the entire week, which is why it would be unfair to cancel your stay with short notice. The cancellation of a home stay with less than 14 days notice will not be reimbursed to make up for the family's expenses, and if a new home stay is requested with less than 14 days anticipation at our other location, your home stay fee will need to be paid at both locations simultaneously as a penalty. Please note that your hosts are not a hotel, and that it is important to be sensible about the initial arrangements we've made for you. Refund for other types of accommodation has to be negotiated with the hotel, hostel, cabin or apartment rental and Habla Ya Spanish School holds no responsibility and has no liability whatsoever for any type of event related with other options of accommodation, however as our student we will always put our efforts into avoiding undesired incidents for our students, and to avoid them we only work with the most honest and professional businesses. We will make sure that they follow the refund policies that they've commited to. Exceptions to these policies can be made in case of illness, accident or any other extreme situation. A medical certificate will be asked for and final decision will be made the School Director upon what percentage can be returned, if any, in the form of credit or refund. If a student is not satisfied with a family home stay, the Administration will make a judgment and then decide to either to talk with the student and/or family, change the student to another family or give a refund. Accommodation starts and ends on specific dates, and Habla Ya Spanish School cannot guarantee accommodation available before or after those dates. Private lessons can be held in the schedule of your preference as long as teacher availability is determined by the School Director. If a student is going to miss a private lesson, he should communicate this situation to the School Director with at least 24 hours of anticipation of the Spanish lesson. Otherwise, the student loses those hours of instruction. The best way to do so is through an email to the teacher and School Director or a phone call to the school. We reserve the right to change or postpone a students' class schedule if student is continually rescheduling his/her lesson. For group lessons, the schedule is arranged by the Administration of the school. This schedule will be set taking into account students needs and teacher and classroom availability. If students who have group lessons miss a class, they'll lose those hours of instruction no matter what. As a gesture of good manners, civility and politeness, teachers always appreciate if students inform them about their planned/unplanned absences. Wireless internet is for students only. The school's computers are mainly for the teachers use. If they do not need it, the students may use it until it is needed by a teacher. Toaster, refrigerator, sink and cafeteria are in general for students use only. No smoking is allowed in school grounds. Please take care of personal hygiene to attend our Spanish School. It is accustomed in our country to shower or bath daily and to use deodorant. In short, what do we really do? We provide the most amazing Spanish learning experience! Contact us!